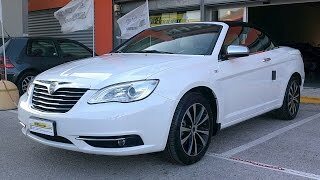 Until earlier this year Lancia's lineup consisted in two hatchbacks, the Ypsilon and the Delta, the 4-door sedan going by the name of Thema and the Voyager minivan, but since the beginning of this year the manufacturer expanded their range of vehicles with the Lancia Flavia 2013, a convertible based almost entirely on the Chrysler 200 convertible that also shares its platform with the Sebring Convertible. 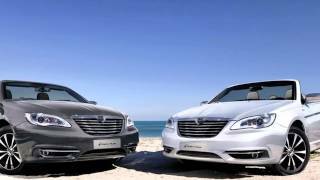 In terms of design the Flavia is almost identical with the Chrysler 200, both inside and out. Besides the badge and a few other small and barely notable changes, both cars are the exactly the same. 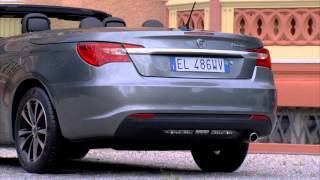 Under its hood Lancia's convertible sports a 2.4 liter 4-cylinder petrol engine built entirely of aluminum. The unit produces 170 horsepower at 6,000 rpm and 162 lb-ft of torque at 4,500 rpm. Some of the interesting traits characterizing this specific power plant are that it comes with chain distribution which is obviously much reliable, comes with dual variable valve timing and two balancing counter-shafts. The 2.4 liter unit is mated with a 6-speed automatic transmission featuring the sequential Autostick system that allows the driver to manually change gears. The gearbox sends the engine's power to the front wheels and can make the convertible accelerate from 0 to 62 mph in 10.8 seconds, with a top speed of 195 km/h and a fuel economy of 9.4 liters / 100 km. Despite the fact that the Flavia is a convertible, it boasts a generous amount of interior room due to its 276 cm wheelbase. Long story short, both the driver and the front passenger will have 1.07 meters of legroom and 1.43 meters of shoulder room at their disposal, making it one of the most spacious convertibles in its class. Being a soft-top it's important to know how much time it takes for the Flavia to retract its roof. Would you be able to drop the top at a red light? The answer to that question is that it takes 28 seconds for both the roof and the heated rear glass window to retract, which isn't that bad but nothing groundbreaking either. Lancia's convertible also offers a high level of safety and boasts a "next-generation" anti-lock braking system, electronic stability control, multistage front and side airbags and active headrests. 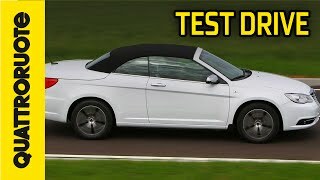 Overall, the Lancia Flavia 2013 is a pretty decent convertible with a somewhat serious look, but if you're on the lookout for a more fun convertible you might be interested in the Mazda MX-5 Miata 2012.